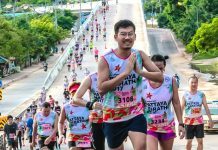 Garmin® debuts the fēnix® 5 Plus in Singapore, adds maps, music, and Garmin Pay™ to its popular multisport GPS watch series | JustRunLah! 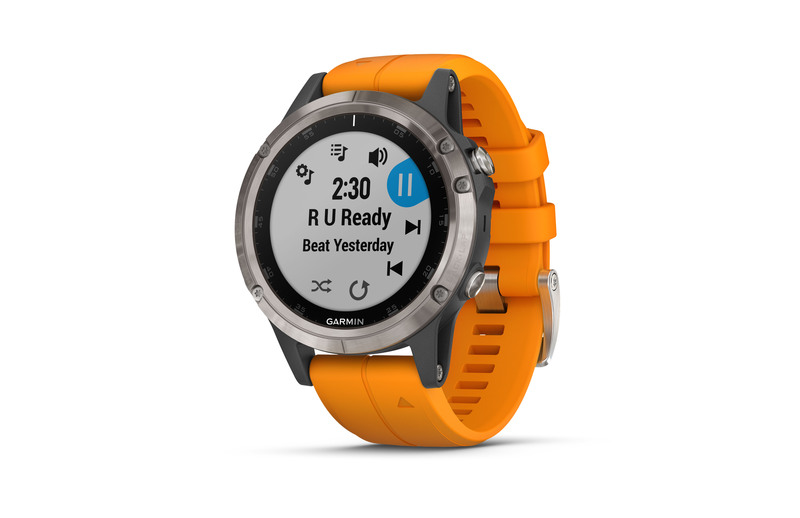 Garmin Singapore, today announced the fēnix 5 Plus series, its next generation of GPS multisport watches with built-in routable topographical maps, storage for music playlists, Garmin Pay™ contactless payment solution, and wrist-based Pulse Ox Acclimation for blood oxygen saturation awareness. Like other fēnix 5 watches, the fēnix 5S Plus, fēnix 5 Plus and fēnix 5X Plus are built for athletes, sports enthusiasts, and adventures of all sizes. These rugged yet premium crafted watches range in size from 42-51mm and all boast a bright, sunlight readable display. The fēnix 5S Plus features a 1.2-inch display, which is almost a 20% increase over the fēnix 5S, meaning users don’t have to sacrifice screen size for a watch fit for smaller wrists. The fēnix 5X Plus is Garmin’s first wearable to offer a wrist-based Pulse Ox sensor for blood oxygen saturation awareness, which is especially useful when adjusting to higher altitudes. On strenuous climbs, they can use the 24/7 mode option to assess how well they’re adjusting to the thinner air. Featuring wrist-based heart rate and all the multisport and smart connectivity features of the previous fēnix 5 models, each of the watches in the Plus series will also include built-in map data optimised for at-a-glance navigation and location tracking. These maps can be used with the round-trip course creator that allows runners and cyclists to enter a distance they would like to run or ride, then select a route from a list of appropriate courses to choose from. Trendline™ popularity routing feature will use Garmin Connect™ data to help users find and follow the best trails and running routes based on billions of miles logged by previous Garmin users. With this feature, runners can feel more comfortable knowing they’re going down a path or trail that has been previously explored by others. The fēnix 5S Plus, fēnix 5 Plus, and fēnix 5X Plus will also offer on-device music storage, up to 500 songs, for phone-free listening. Once the playlist is loaded, simply pair the device with compatible Bluetooth® headphones (sold separately) and start listening. 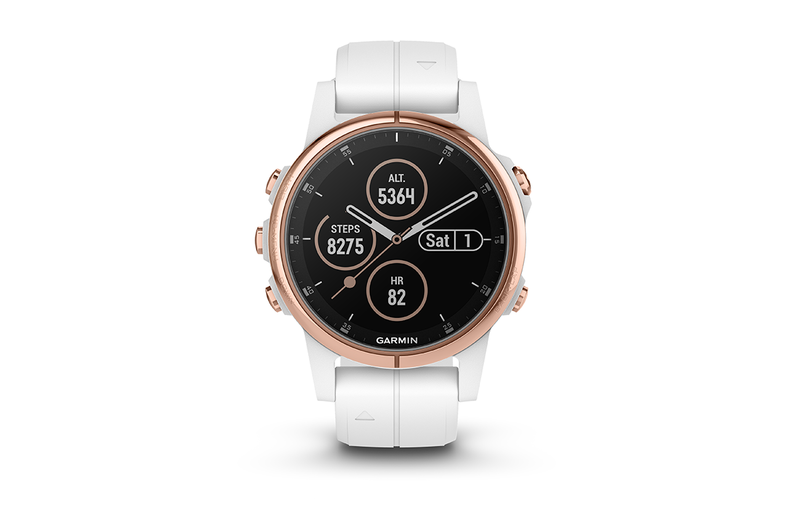 All sizes of the Plus series will also include Garmin Pay, a contactless payment solution, meaning fēnix Plus wearers can leave their cash and credit cards at home, but still be able to grab a beverage or bite along the way. 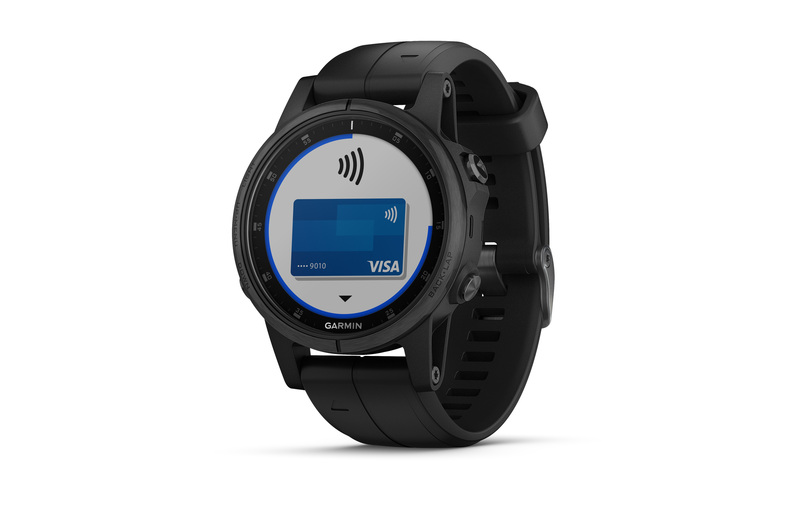 Utilising their Garmin Pay wallet, users have the same rewards and benefits of the physical cards, with the convenience of having them right on the wrist. Each fēnix 5 Plus model is packed with sophisticated training features to help monitor form and performance. Users can tap into physiological metrics, running dynamics and more to track workout stats, measure progress and fine-tune form. Training status automatically evaluates recent exercise history to let users know if they’re overtraining, maintaining or peaking. The fēnix 5 Plus series are Connect IQ-compatible, so users customise their watch with widgets, data fields, watch faces and apps. When paired with a compatible smartphone, users can get call, text and email notifications right on their wrist. Additionally, users can customise the look of their watch with QuickFit® bands. Simply swap a silicone band for a leather or titanium strap, no tools necessary. The QuickFit bands are available in new colours. Every fēnix 5 Plus watch features multinetwork satellite reception, now including Galileo to track in more challenging environments than GPS alone. This is particularly helpful when adventuring in places without a clear view of the sky like deep canyons or urban environments. With a rugged, stylish and sophisticated design, the fēnix 5 Plus series is built tough for challenging environments. Available in two distinctive finishes, users can choose between a PVD-coated stainless-steel bezel with silicone watch band; or for a lighter material, a high-performing titanium bezel version with brushed titanium bracelet available on the fēnix 5 Plus and fēnix 5X Plus series. Each version features a full-colour Garmin Chroma Display with LED backlighting to assure sunlight readability and is water-rated to 100 meters. The fēnix 5S Plus can get up to 6 days in smartwatch mode, up to 10 hours in GPS mode, and up to 4 hours in GPS and Music mode; 6 the fēnix 5 Plus can get up to 10 days of battery life in smartwatch mode and up to 7 hours in GPS and Music mode; and the fēnix 5X Plus can get up to 18 days of battery life in smartwatch mode and up to 11 hours in GPS and Music mode. Users can also take advantage of the UltraTrac™ power saver mode to extend battery life even more. The fēnix 5 Plus series is available across major retailers Advance Lap, Best Denki, Challenger, Courts, Gain City, Harvey Norman and all authorized retailers. The fēnix 5 Plus series is the latest solution from Garmin’s expanding outdoor segment, which focuses on developing technologies and innovations to enhance users’ outdoor experiences. Whether hiking, cycling, trail running, mountain biking, golfing, diving or using satellite communication, Garmin outdo or devices are becoming essential tools for outdoor enthusiasts of all levels. To learn more, visit fēnix 5 Plus official website. All images courtesy of Garmin. All product names, logos, and brands are property of their respective owners. All company, product and service names used in this website are for identification purposes only. Use of these names, logos, and brands does not imply endorsement. Type: Gadgets, Running Apparel, and Watches.